This year in September the International Society of Hematology World Congress was held in Vancouver, Canada. This was a joint venture with the Canadian Society of Hematology, the congress was a truly international one, well organized and with high educational level. In the business meeting of ISH, I received the honor of being elected as the new Chair of Council in substitution of Professor Emin Kansu from Turkey. Professor Kansu did an excellent job as Chair of Council, and it is not an easy effort, at least for me, just trying to accomplish his goals. Since 1946 many challenges have been faced by the ISH and I am sure there will be many more, but I am also convinced that our Council will be ready to keep our hematology “machine” in good shape in order to promote the development and education of hematology all over the world. This not an easy task, since there are many organizations like ASH and EHA attracting attention. However, ISH is alive, strong and well, and we will focus mostly, but not only, in the hematologists of the so-called low and middle-income countries, with new ideas and efforts. Our web page will be fresh with more information and the Official Journal of the Society “Hematology, “ is nowadays improving and providing us with very good quality and up to date articles. I am just happy to be in this position, and ready to give my best effort in order to keep up with the good job previously done by our Executive Council and Professor Kansu. There is no doubt that ISH will be there, ready to help, for the world of hematology. 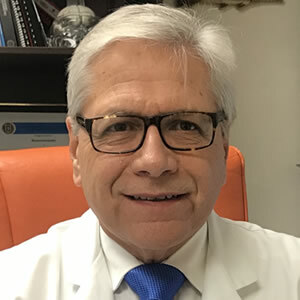 David Gomez-Almaguer M.D. , FACP.